Whether you enjoy baking homemade gluten-free bread or you use one of the convenient, delicious gluten-free bread products, like Udi's Whole Grain Gluten-Free Bread, it's always nice to add variety and flavor to what goes between two slices of bread. Here are some terrific gluten-free sandwich filling recipe ideas. 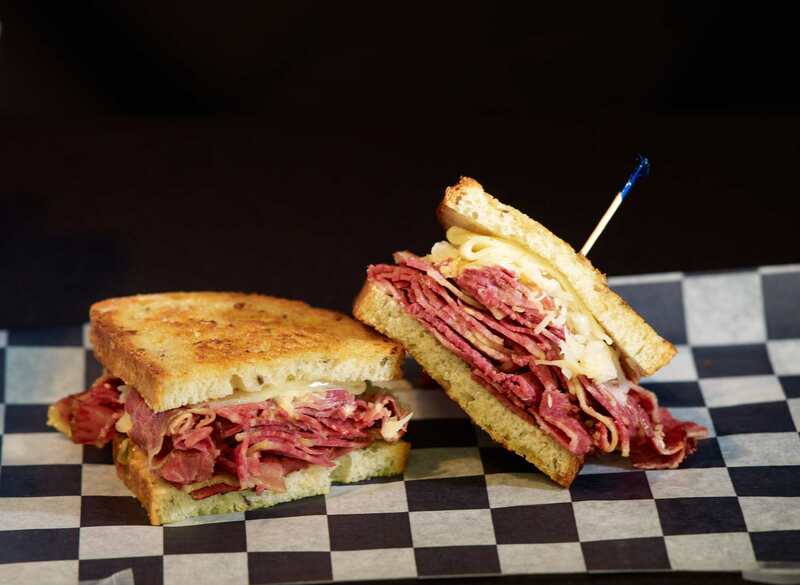 Make this sandwich on gluten-free caraway seed bread with all of the traditional ingredients that make a Reuben a Reuben. Corned beef, Swiss cheese, sauerkraut, and Thousand Island dressing make a hearty sandwich. The filling for Sloppy Joes in most recipes is gluten-free as long as you ensure you're using gluten-free Worcestershire sauce, ketchup, and mustard. If gluten-free buns aren't available in your area, make your own gluten-free hamburger buns. A go-to favorite you can make with rotisserie chicken, cubed chicken breast, or even canned chicken you have ensured is gluten-free. The typical additions are mayonnaise, maybe a little mustard, onions, spices, nuts, raisins or grapes. You can also add diced red or green peppers, cucumbers, or sunflower seeds. Many people like curried chicken salad, adding ingredients you have checked to be gluten-free such as curry powder, chutney, dried fruit, or crushed pineapple. The leftover turkey from Thanksgiving is destined for many a dish. You can make turkey salad with many of the same additions as you would for chicken salad, but if it's the holiday season, think of adding chopped cranberries, celery, and onion. You may also want to add shredded cheese for more flavor. Canned tuna is a staple and easily put to use for a gluten-free sandwich filling. You can mix it with mayo and relish for simplicity, layering on tomato and lettuce. Alternatively, chop in your favorite additions such as onions and celery. You can make it spicy or keep it mild. Beyond tuna salad, explore using canned salmon, smoked salmon, or grilled salmon for a salmon salad filling for your sandwich. You'll get all that great fish oil while enjoying a lovely sandwich. Ham salad takes only a few ingredients, so it is easy to ensure they are gluten-free. Ham, mayo, pickle relish, and maybe a little crunchy diced celery and onion make a savory sandwich filling. These also make good roll-ups with spinach on gluten-free tortilla or flatbread. Pesto is another flavor-packed gluten-free condiment you can add to your sandwich. You can make pesto out of many different herbs. Then mix it with mayo, cream cheese, or sour cream for a spread. You can also use it in chicken salad or turkey salad to add Italian flavor. You can make olive spread to use on your sandwiches, especially if you are using deli meat as the main filling. You can make olive tapenade to spread by itself for a big burst of flavor, perfect with Italian cold cuts, or you can mix it into mayonnaise, sour cream, or cream cheese for a creamier spread. This Southern favorite was a staple on white bread, but you can enjoy it on gluten-free bread as well. Beyond the traditional use, you can enjoy it on burgers, turkey sandwiches, chicken sandwiches, deli meat sandwiches, in wraps, or simply as a dip for carrots and celery.